Carly will be three weeks old on Saturday! It has been three of the craziest, yet most wonderful weeks of our lives. This tiny little girl has already touched and changed so many people's lives...especially ours. We have already learned so much from her and know she has plenty more to teach us. We really do feel so honored to have been chosen to be her parents. As I already proudly announced on Facebook, I finally got to hold Carly! I was completely ecstatic! 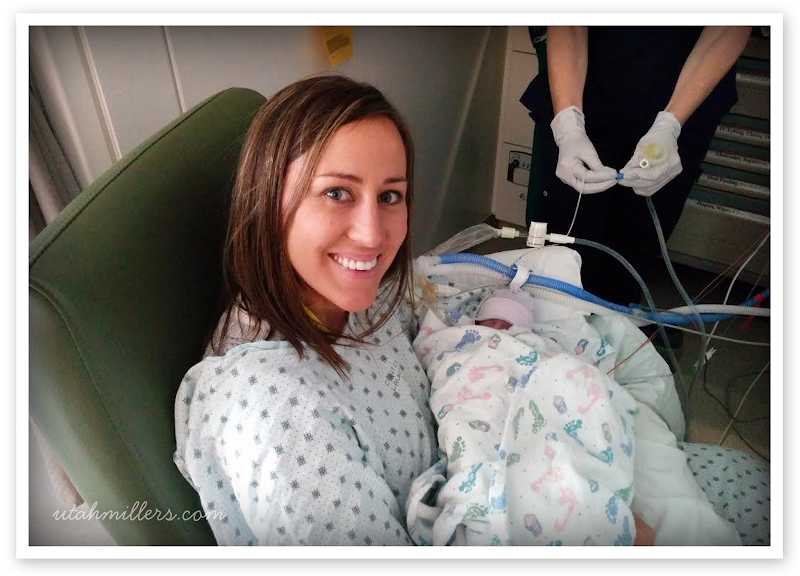 It took 3 nurses and about 15 minutes of preparation before they were able to move her into my arms and get her positioned just right so her vitals wouldn't drop, but once she was in position in my arms, I seriously cherished every second of those very rare moments with her. They said as soon as her tummy heals from her latest surgery that we'll be able to start doing skin-to-skin with her. This picture shows the size of one of her tiny little feet. We actually think her feet seem really big for her body, but they are still teeny, tiny little things. The above picture shows her size in a little better perspective. 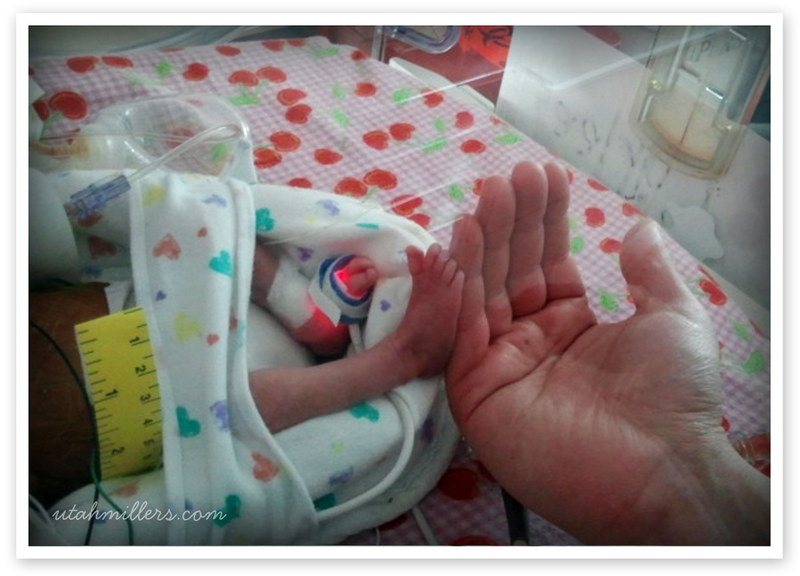 She has gained 6 ounces since birth and now weighs a whopping 2 pounds 10 ounces. She has also grown 1/2 inch since birth and is 14 1/2 inches long now. This picture was taken after her second surgery where they removed her ileocecal valve and gave her a jejunostomy. You can see her little stoma bag on the right side of her abdomen. You can also see the very top portion of the opening in her tummy. This picture was taken after her third surgery where they finally sewed up the hole in her tummy (you can see the bandage). 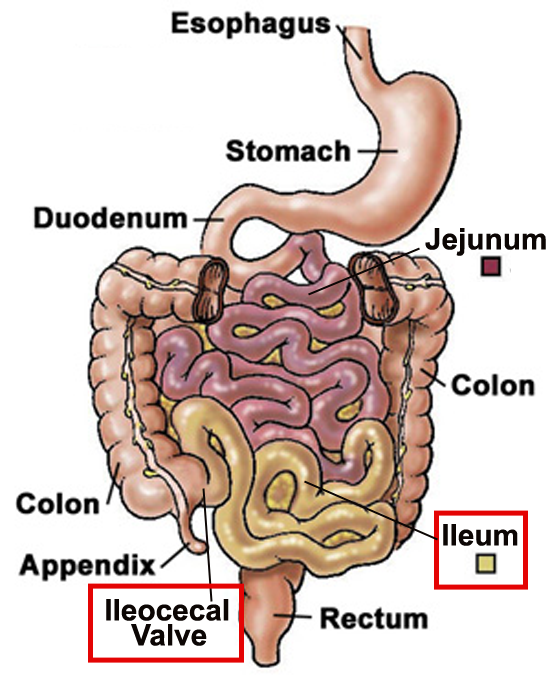 Currently her remaining small intestine (the jejunum) is not yet connected to her large intestine. There is 25 cm of jejunum left in her tummy and the hope is that it will lengthen over the next two months and eventually, with time, be able to adapt to having the ileum gone. 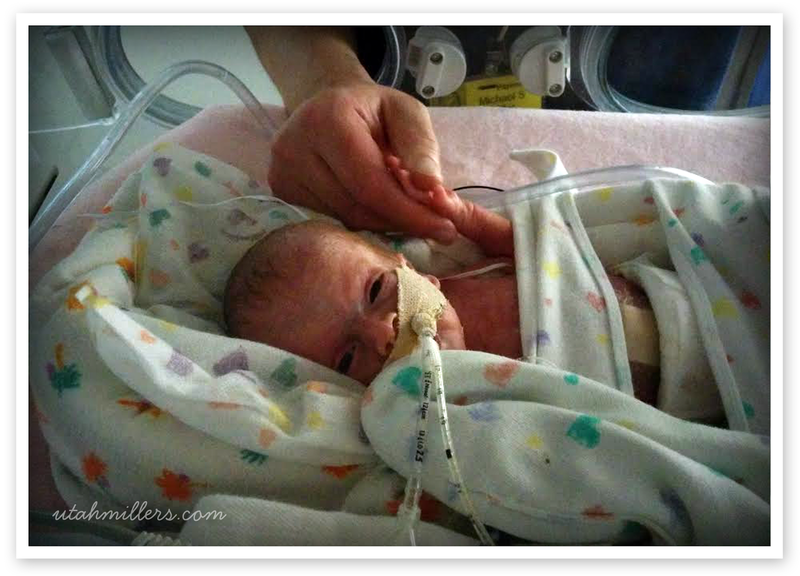 They won't try to go in to reattach the small intestine to the large intestine until she is at least 5.5 pounds and 6-8 weeks old. So now the goal is for her to keep growing and gaining weight so she'll be big enough to have that reattachment surgery in a few months. She will remain on Total Parenteral Nutrition (TPN) for some time but TPN causes liver damage so that is going to be a big concern moving forward. She has also developed a heart murmur (PDA), which they are watching very closely. They are going to try to remove her breathing tube in the next few days, so hopefully that goes well and she can start breathing on her own. They also said today that they may put in a feeding tube as early as tomorrow. She continues to make great progress and we continue to be so grateful for all of the fasting and prayers on her behalf. Here's the anatomy of the digestive tract. 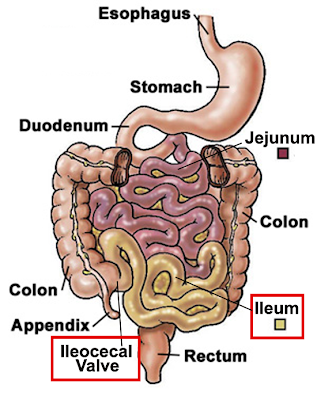 The red boxes show the sections of her small intestine that have been removed (ileocecal valve & ileum). 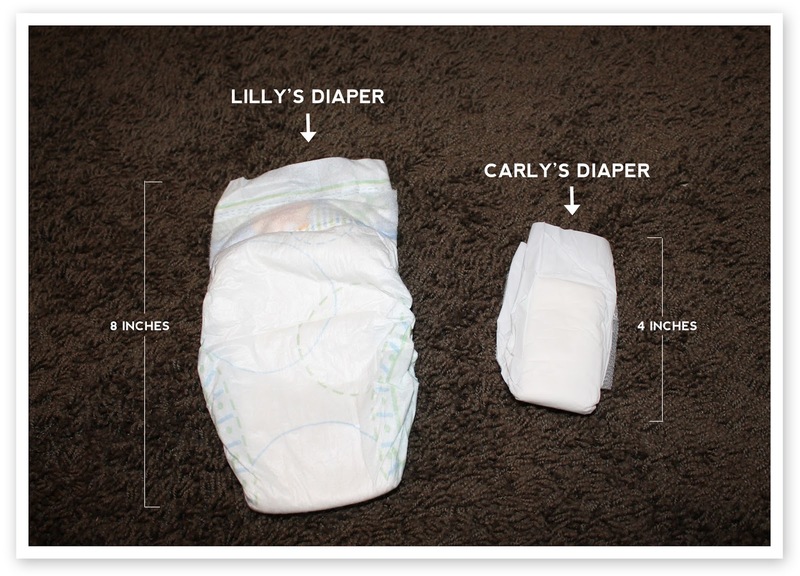 Bryson loves to show people how tiny Carly's diaper is in comparison to Lilly's diaper. We are getting to know Primary Children's very well and have been beyond impressed and so grateful for all they have done for us so far. The doctor's and nurses are out-of-this-world amazing and we know Carly couldn't be in any better hands. 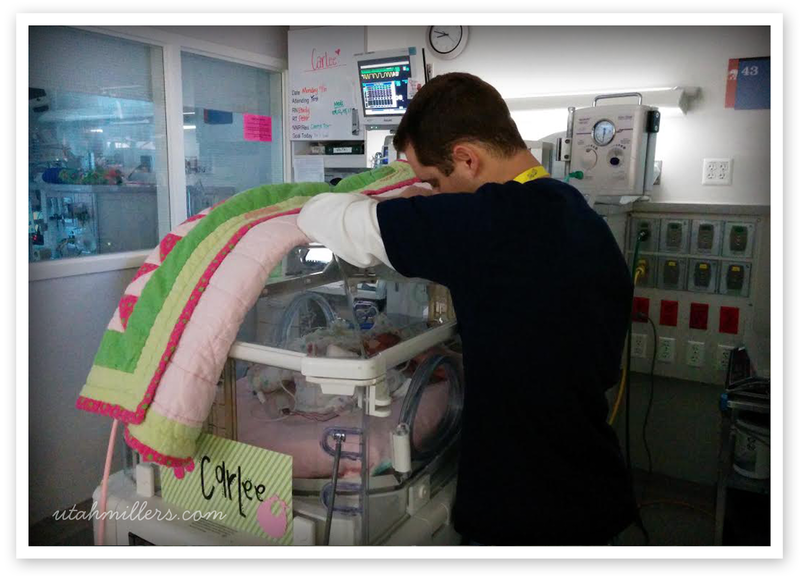 We are adjusting to our new life as NICU parents and rotate days visiting her. Mike visits Carly after work on M, W, F and I visit her during the day on T, TH and then we visit her as a family on the weekends. 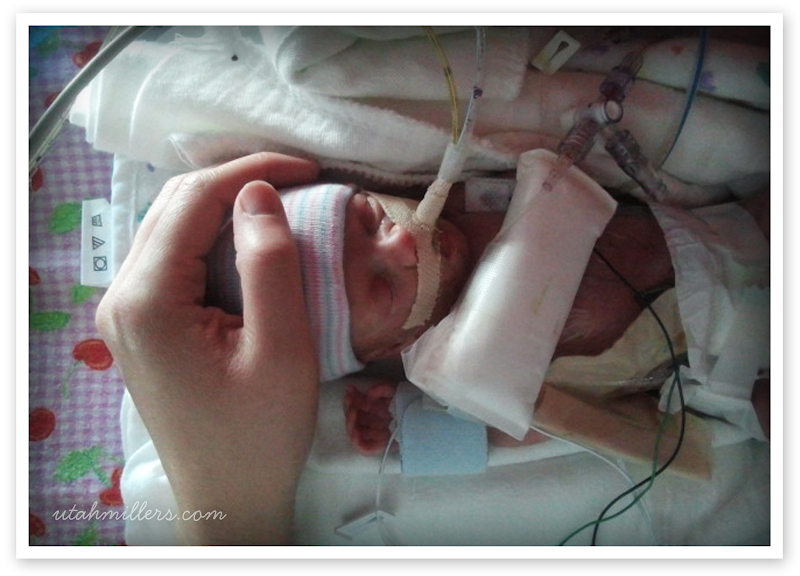 They don't let kids in the NICU, so Bryson and Lilly won't be able to meet her until she comes home from the hospital. 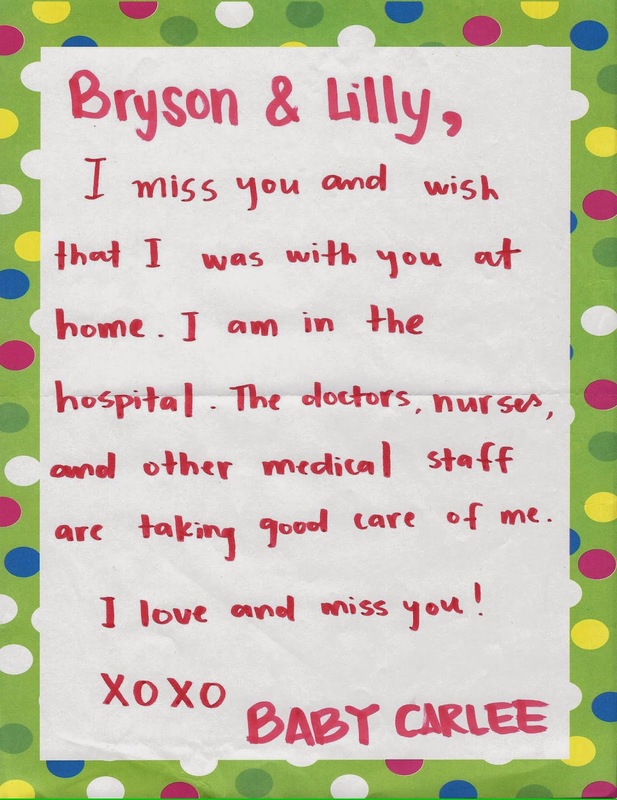 This letter came unexpectedly in the mail for Bryson and Lilly from the hospital and reading it brought tears to my eyes. Did I not say they were amazing? 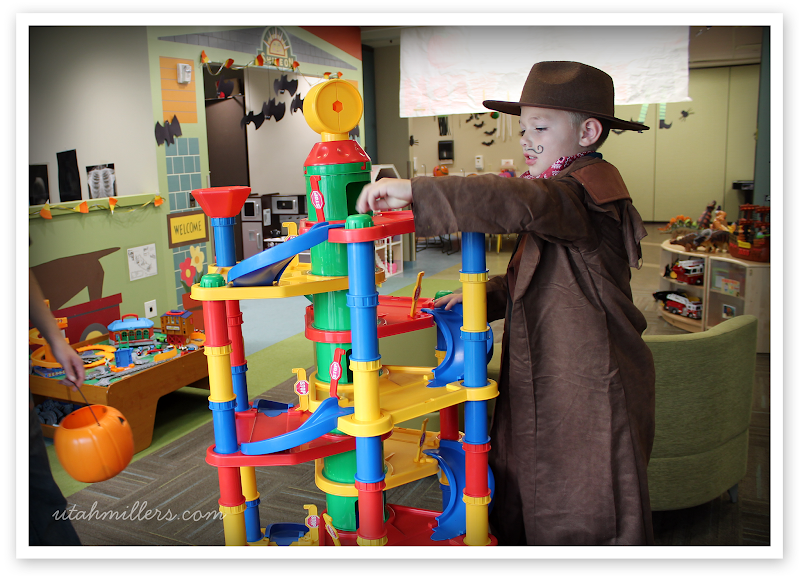 They have a playroom on the 3rd floor that Bryson and Lilly absolutely love. If they have enough volunteers when we bring the kids, then they let us leave them there while we visit Carly, which is so wonderful. 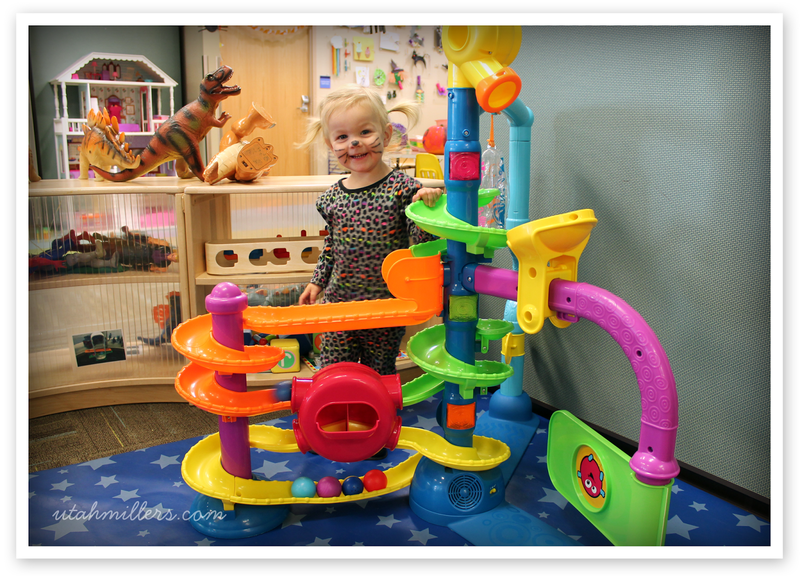 Lilly is especially a fan of the playroom. Here's a little clip of her playing doctor (it's a good thing she's not Carly's doctor...haha). "Sometimes life's biggest lessons are learned from the littlest ones."